VisitScotland and TBAS have vowed to add ‘visit a Scottish craft brewery’ to your New Year’s resolution list. The new map currently displays the details for more than 70 brewers and VisitScotland told db that it hopes this total will rise as the map is updated with new entries. It is thought that beer has been brewed in Scotland for over 5,000 years, and today the country has more than 115 breweries, from the Shetland Islands right down to the borders. 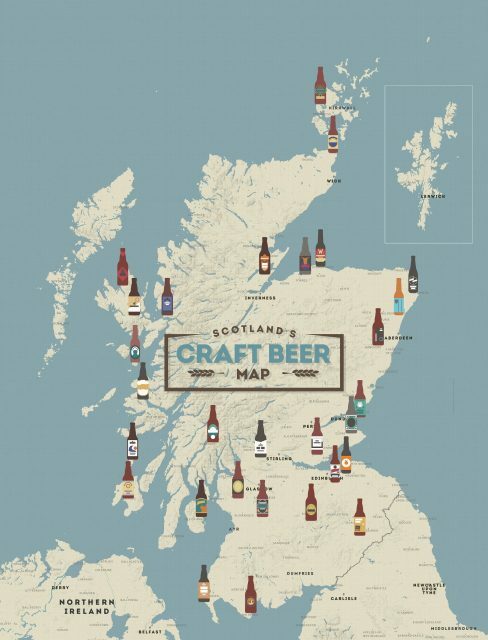 VisitScotland TBAS hope the map will encourage beer lovers to plan their own ale adventures this year, taking a beer-themed tour of the country. Steve Duncan, VisitScotland marketing manager, added: “Beer is pretty big business in Scotland. With more than 115 breweries operating across the country, the variety and quality of beer and ale being produced and served in Scotland’s bars and pubs and available in our shops and supermarkets is greater than ever. “This new interactive map, which can be easily updated, has been created to make it easy for visitors to include a brewery tour as part of a holiday or short break in Scotland as well as recognising the growing interest in Scotland’s craft beer sector”. The map took three months to produce and includes breweries such as Tempest Brew Co in the borders, West brewery which produces St. Mungo lager in Glasgow, Swannay brewery on the Shetland Islands, organic brewery Black Isle from Inverness and St Andrews Brewing Company from Fife. 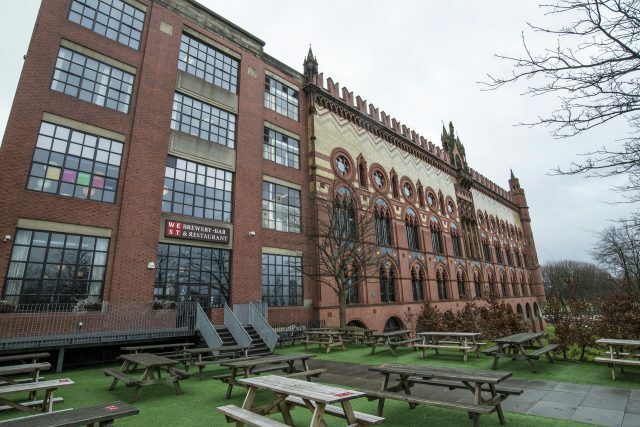 West Brewery, Bar and Restaurant located in the former Templeton Carpet Factory in Glasgow. Caroline Wengel, The Brewers Association of Scotland’s business development manager, said: “We are delighted to be working with VisitScotland to help showcase Scotland’s diverse brewing industry. The Scottish food and drink story is a real success and the beer revolution is at the heart of it. We know that visitors to our country love to eat and drink locally made produce and this new interactive map will help tourists discover breweries to visit and beers to try during their trip”. The map can be viewed in full here.